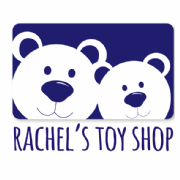 Rachel's Toy Shop is located near Wigan Town Centre, just a 10 minute walk from the Grand Arcade. Wigan Lane has a number of parking spaces, with 4 free of charge spaces outside the shop (1 hour, no return for 2 hours). The easiest way to access Wigan Lane shops is to turn off Central Park Way (past Tesco). The number 638 bus (hourly) runs up Standishgate and Wigan lane from the bus station - the bus stop is a little way past the shop on the other side of the road. It does not come back in the other direction, so if coming from Standish then either the 638 or the 362 (every 15 mins) could be caught and alight at the next stop after the hospital.